This year I decided to make some ornaments for our tree to fit in with my “Woodland” theme. 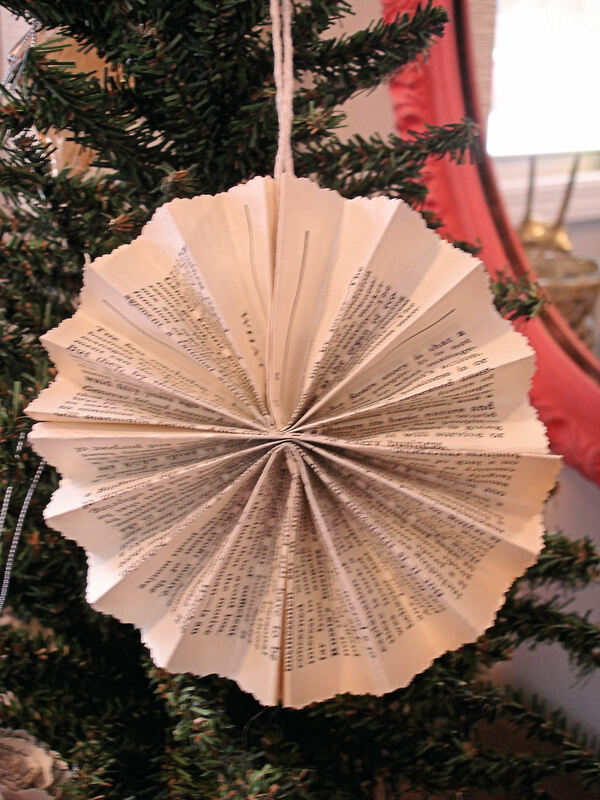 I turned to my trusty stash of yellowed books and hot glue gun and came up with a few. If you would like the tutorials for any of them, let me know! Carolyn- I basically wadded up a bunch of scrap paper and wrapped it with masking tape to make the ball (or you could buy little styrofoam ones) Then I made rosettes the same way I did for my wreath and hot glued them on! Those are so sweet! Sweet-sweet! Love these! Especially the roses. PINNED. 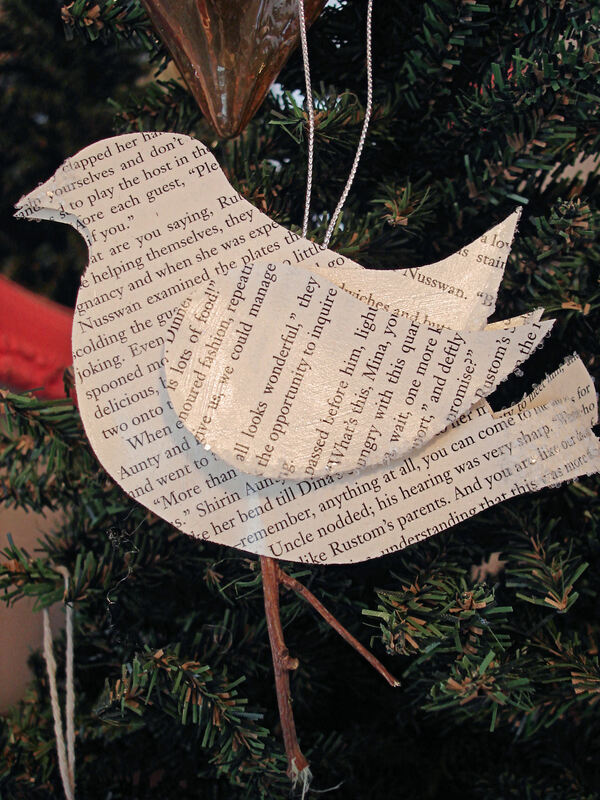 Your ornaments are adorable – very sweet! 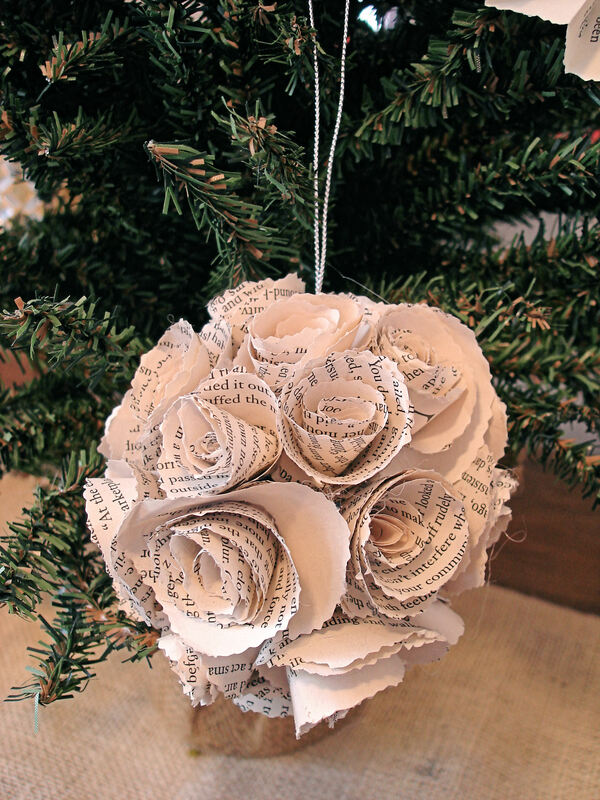 I’ve got this linked to my paper ornaments post too today, well done! These are all lovely. Using book pages is something I love doing. How can I get tutorials for all of them? 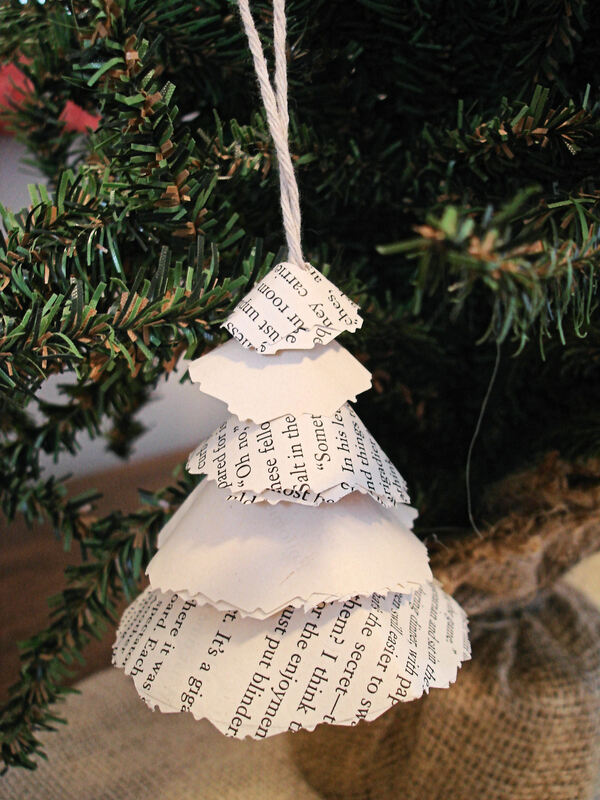 We are doing a tree totally from book pages for our library and would love to know how to do these. Could you please send me the tutorials for all the ornaments? Thank you and I hope you have a wonderful Christmas! 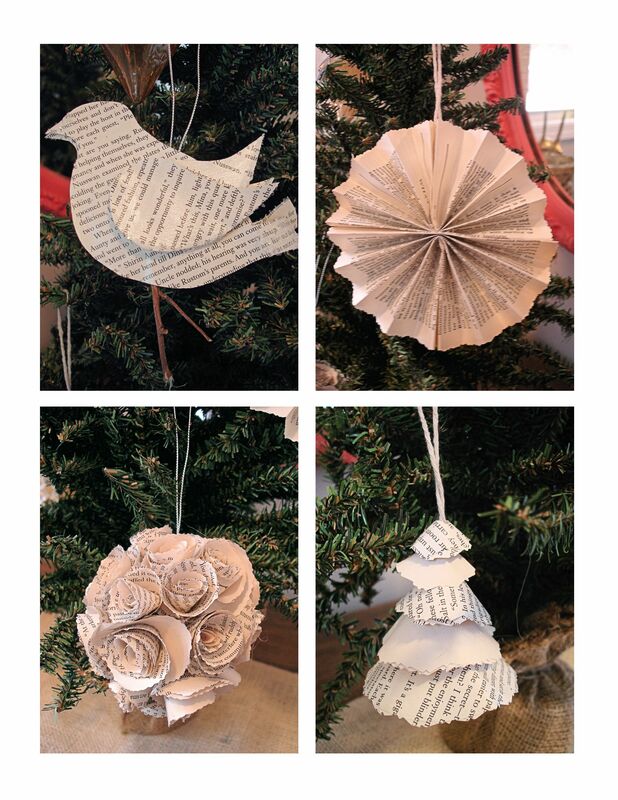 We are making ornaments and decorating small trees for the shut-ins at our church and would love to make these. Will you please send me the tutorial?